EIT Digital has named Sedicii Innovations as the best European technology scaleup in the field of Digital Finance. The Irish company has developed an authentification technology to protect digital customer identity. Second prize went to Quantoz from the Netherlands. UK-scaleup Cuvva came third. Sedicii Innovations from Ireland has been awarded first place in the Digital Finance category of the EIT Digital Challenge. Sedicii wowed the judges at the finals competition held at the iconic Leadenhall Building (Cheesegrater) in London, with their authentication technology that eliminates the transmission, storage and exposure of private user data during identity verification, which reduces identity theft, impersonation and fraud. Sedicii competed against seven other finalists for access to support for international growth. Second place went to Quantoz Technology from the Netherlands whose Quasar Digital Cash Solution provides the infrastructure for instant payment and transaction settlement between businesses, people and the Internet of Things all while remaining compliant with regulations. London-based Cuvva was awarded third prize. Cuvva offers a new type of car insurance. People who borrow a car from friends or family can use the mobile application to buy car insurance for short period of time - from a single hour to a whole day. The companies will receive access to EIT Digital's pan-European innovation network and the chance to benefit from business growth support provided by the EIT Digital Accelerator. The first-placed scaleup Sedicii additionally receives €50,000 in cash. "We're absolutely over the moon. We've been the bridesmaid so many times in the past it's so good to be the bride this time. This award is so important because it's a validation of the product that we've developed and the very hard work we've put in to develop it. We're really grateful to EIT Digital for putting on this competition which has allowed us to vie against some of the best fintech startups in Europe and we're looking forward to speaking with them further about how we might grow our business in new markets." "Over the years the EIT Digital Challenge has identified some of the best digital scaleups in Europe and Sedicii is a worthy addition to that list. Their experienced and energetic founding team really impressed the judges with their powerful solution for solving the multi-billion dollar problem of identity protection and privacy. We think that they could have a real impact on the Digital Finance sector across Europe. We're looking forward to getting to know them better and to see how we might support their future growth ambitions." 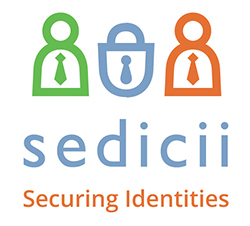 Sedicii Innovations (Ireland) eliminates the transmission, storage and exposure of identity data during an authentication or identity verification process. This allows for the secure consumption of digital services in a privacy-preserving manner. The Quasar Digital Cash Solution developed by Quantoz (The Netherlands) provides the infrastructure for instant payment and transaction settlement between enterprises, people and the Internet of Things while being compliant with regulations. Cuvva (UK) offers a new type of car insurance. People who borrow a car from friends or family can use the mobile application to book a car insurance for a short period of time starting from a single hour to a whole day.